Who: Speakers will be released one by one below! 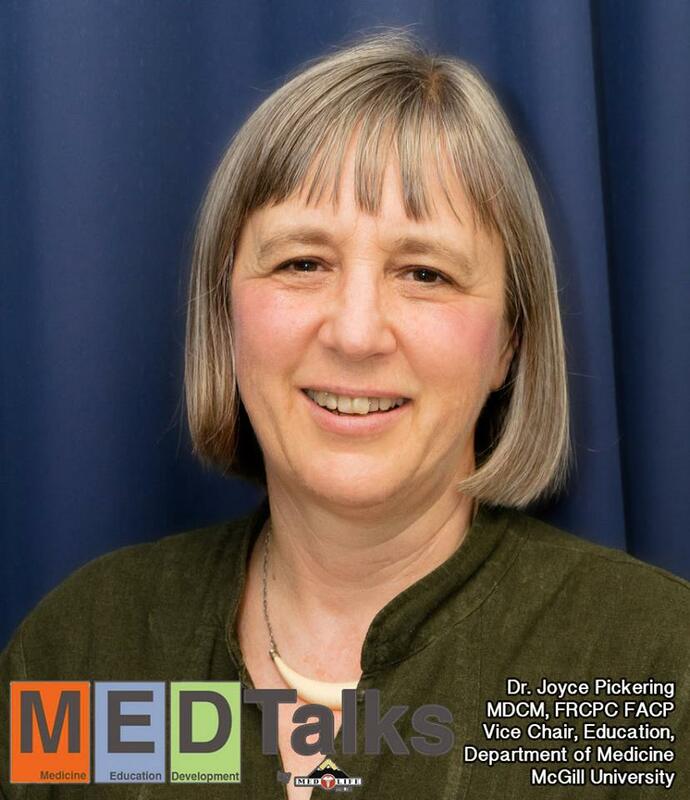 MEDLIFE McGill is proud to introduce the first speaker of our Health Care in Marginalized Communities MEDTalks conference, Dr. Joyce Pickering! Dr. Pickering is a general internist and currently Vice Chair for Education in the Department of Medicine at McGill University. In addition to her involvement in education, she has interests in epidemiology and international health and has worked and taught in Ethiopia, Uganda, India, Russia and Japan. In the area of education she has taught clinical epidemiology, directed undergraduate and graduate clinical training programs, and was the associate dean for undergraduate medical education at McGill University from 2004 to 2011. She taught a 3 credit course, Health in Developing Countries from 1995 through 2004 in the Department of Epidemiology and Biostatistics at McGill, and was the Director of the International Health Office at McGill from 2001 to 2004. She is also a member of the J.D. MacLean Centre for Tropical Diseases at the McGill University Health Centre. She has presented at a number of conferences and published on international health issues. Most recently, she was a visiting professor at the University of Tokyo (2013-2014) where she co-presented with Dr. Kenji Shibuya of the Global Burden of Disease project on implications of the project for medical curricula. Stay tuned in the upcoming days as we reveal the rest of our amazing speakers!